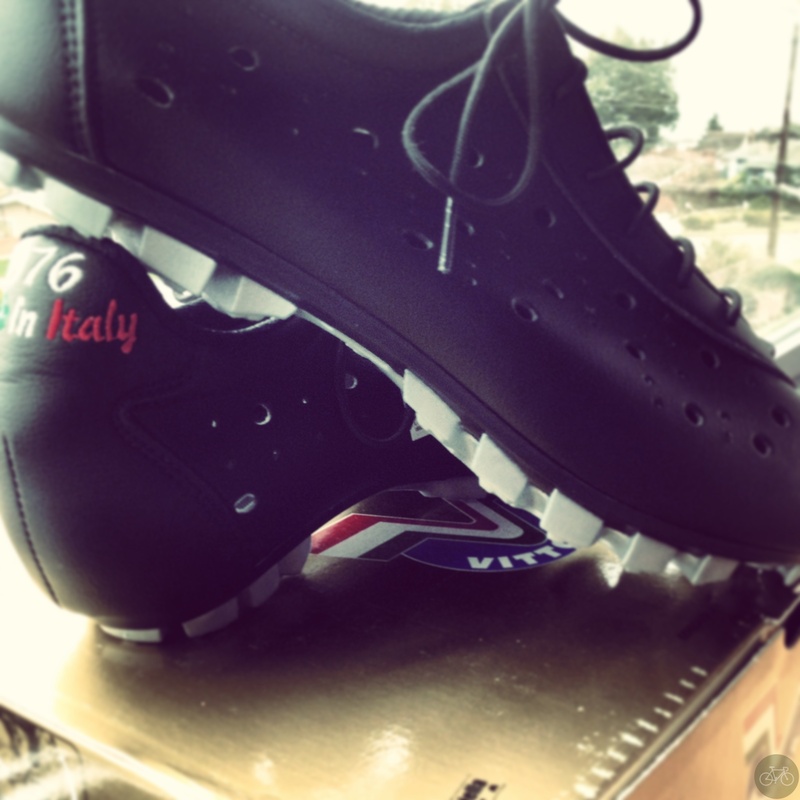 As seen on Instagram earlier this week, new kicks for this Spring nicknamed Italian Mountain Bike Loafers. Worn with a fine worsted wool suit, of course, and a cap on a Brompton. That’s just wishful thinking – I’m in manpris and a tee with those and this cap. Those are the Vittoria Shoes Classics with a MBT sole and they asked me to try them out. I worn out the Classics before them and asked for a pair with an all-day insole and a mountain tread. Vittoria’s racing shoe got me back on the bike quicker after the injury and I protected the ankle all winter with their boot. I wear the Classics at events when I’m riding around town and walking around a conference center, like SXSW next month.